Home renovation can be daunting and exciting at the same time. Sure, you’ve got a headful of ideas ready, but there’s always the issue of cost. If you’re working with a limited budget, as most homeowners do, figuring out which project to save for first is no easy feat. Fortunately, there are time-tested criteria that will help you break down the dilemma and wisely choose items to tick off first from your home-renovation checklist. Rule number one is mechanics before cosmetics. Your home’s health comes first. Home maintenance, after all, is not something you do randomly. It’s a regular inspection and readdressing to ensure that your abode is in its best shape. Primary cost considerations include heating and air-conditioning units, possible roof repairs or replacements, structural or foundational repairs, and plumbing and lighting inspections. Typical home maintenance can cost 1–3 percent of the home’s purchase price annually and may include the budget for damage prevention such as mold test kits and leak-prevention systems, among others. 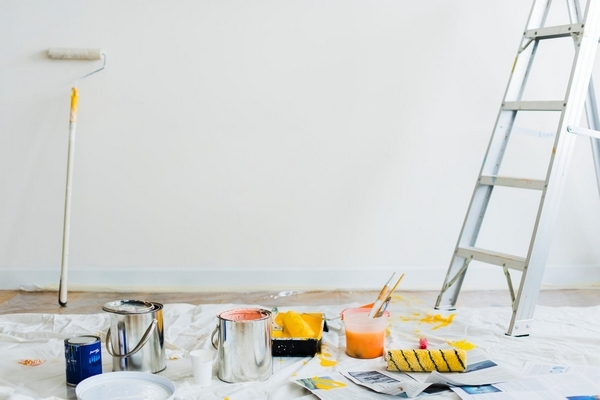 It’s not uncommon for many homeowners to spruce up their homes before they put up their properties on the market. The common belief is that a spruced-up kitchen and bathroom will get you a good price, and this is largely true. But you also need to consider when you’re going to sell. Design fads are passing, and if you’re decorating for a style that’s in vogue now, it may no longer be the case should you decide to put off the sale for later. Always consider design. Where Are You Getting the Budget? As much as possible, avoid getting into debt. Financing, after all, is not easy to come by, so it makes sense to save for the cost of renovation instead of getting a loan. Work on your resources, and see if you are capable of taking on the challenge of DIY projects, which does away the cost of labor. Otherwise, consider which parts of your home you should redesign first, and factor in the cost of hiring contractors. Determine which projects you can do that will not cost much but will create a significant change in your overall setup. Take, for example, a change in paint, dolling up the entryway before moving into the main home interior, or upgrading your toilet system into a macerating one. Going through these high-impact yet low-cost projects is a fantastic way to get fast results without draining your resources quickly. Don’t be afraid to work at your own pace, and dissect the project into workable phases. Take it as a challenge. Going the DIY route can be a lot of fun. There are plenty of exciting things to learn along the way. It all boils down to what you need and whether they serve to gratify immediate or long-term purposes. Of course, if parts of your house need repair, it only makes sense that this tops your priorities. But if you’re remodeling for a solely cosmetic purpose, it helps to think long-term. Assess your essentials based on these tips, and build your checklist.